The Hillsborough Dukes are a 501(c)3 non-profit corporation that was founded in 1967 with an original start-up grant provided by billionaire Doris Duke, for the purpose of developing, fostering, and generating a local Pop Warner Football and Cheerleading program in Hillsborough, New Jersey. Our organization is run entirely by volunteers. All the members of the Board of Directors are volunteers, and are not compensated for the hundreds of hours they work throughout the year to keep this program going. All our coaches and seasonal staff are also volunteers who put in many hours on and off the practice fields each season. Our organization is funded through registration fees, game admission fees, sponsors, and fundraisers. All funds are put back into the program to pay expenses and make improvements. Some of the expenses we incur each year include repair and/or replacement of equipment and uniforms, field usage fees, insurance, membership dues, background checks for staff, merchandise for resale, referees, end-of-year participant trophies, and other miscellaneous administrative expenses. We are a subordinate member of Pop Warner Little Scholars (PWLS), and are subject to the rules and regulations set forth by PWLS. We are part of the Pop Warner Eastern Region, which consists of 6 leagues (states), broken down into 27 total conferences. Within our league, there are 7 conferences, and we are part of the Mountain Valley Conference which is made up of 10 teams from our surrounding communities. Each year we strive to improve and nurture this program, thus ensuring its continued existence and availability for the community. We appreciate the support and enthusiasm of all our volunteers, sponsors, and parents. Our practice facilities are on the grounds of the Hillsborough Elementary School (HES) behind the main building. We maintain several small buildings behind the school where we store our equipment and run our operations. Practices - For the 2016 season, practice will begin on Monday, August 1st. During August, all levels practice Monday through Thursday from 6:00 to 8:30 pm (8hrs/week). Occasionally, the practice schedule may change if a regularly-scheduled practice is cancelled due to inclement weather. We do practice and play in the rain; however, we will cancel if lightening is threatening. After Labor Day the schedule will be cut back to three evenings per week. The specific schedule is left to the discretion of the individual coaches. Beginning in mid-September, our competition-level cheerleaders will be practicing one night per week at the Evolution Cheer Academy in Bridgewater ( 60 Milltown Road). Exact time and dates to be announced. This practice space allows a safe practice surface for stunting and tumbling and provides the children with the opportunity to practice their routine on a regulation-sized mat. Beginning mid-September, our cheer squads begin practicing inside the local schools typically at the Hillsborough Middle school. Exact locations, times and days are determined in September. Our season kicks-off just before or right after the Labor Day Weekend and consists of 8 regular season games. Our games are played on Sunday mornings, times are dependent on the skill level. The Flag level game will typically start at 8:30am with each subsequent game starting 1-1/2 to 2 hours later. The Dukes home games are played on the main field at the Hillsborough High School (HHS) where the varsity team plays. This gives every Dukes football player and cheerleader exposure to what it's like to perform on the grand stage before a big audience. We will play four of our eight season games on the HHS field. We may host post-season competitions on this field as well. Occasionally, due to scheduling conflicts, our games may be played at the Hillsborough Municipal Football Complex on the corner of Triangle and Stockton Roads. We are part of a short-distance travel league, known as the Pop Warner Mountain Valley Conference. In addition to our 4 home games, we participate in 4 away games during our regular season. Away games may include such town locations as Bridgewater, Frenchtown, Flemington,Maplewood, Skillman, Alpha, Somerville, South Plainfield, GreenBrook, and Watchung Hills. Parents are responsible for transportation to all games. All Pop Warner games charge admission. Traditionally, the cost for adults is $2.00, and the cost for a non-participating child is $1.00. What constitutes an adult or child may vary from field to field. Children under age 5 are usually admitted free. Participating children and Pop Warner volunteers with proper Pop Warner ID are admitted free. These prices are subject to change from one year to the next. Post-season competition admission costs will vary. All players must provide their own footwear (football shoes with non-metallic cleats) and any personal items, such as an athletic supporter, a cup, socks, and mouth-guards. Players at the Junior Pee Wee level and above may advance to post-season play. Regional championships are traditionally held the weekend just before the Thanksgiving weekend. National championships are held in Orlando, Florida at the Walt Disney Wide World of Sports Complex usually in the 2nd week of December. Travel for the two events costs is not fully covered by the organization. Parents are encouraged to set aside funds and participate fully in all fundraising efforts. The Dukes will assist in fundraising efforts for advancing teams, but parents will bear primary responsibility for the costs associated with such travel. All cheerleaders must purchase their own cheer shoes (as specified by the organization), socks, black lollipop, crop top, and hair bows. Ordering/purchasing information is provided by the Hillsborough Dukes so that everyone gets the correct and matching items. Cheerleaders at the Junior Pee Wee level and above may advance to post-season competition, or be required to travel with their football team to post-season games. Regional competitions are traditionally held the last weekend in October and an additional round the 2nd week in November. The National competition is held in Orlando, Florida at the Walt Disney Wide World of Sports Complex usually in the 1st week of December. Travel for the two events costs is not fully covered by the organization. Parents are encouraged to set aside funds and participate fully in all fundraising efforts. The Dukes will assist in fundraising efforts for advancing teams, but parents will bear primary responsibility for the costs associated with such travel. 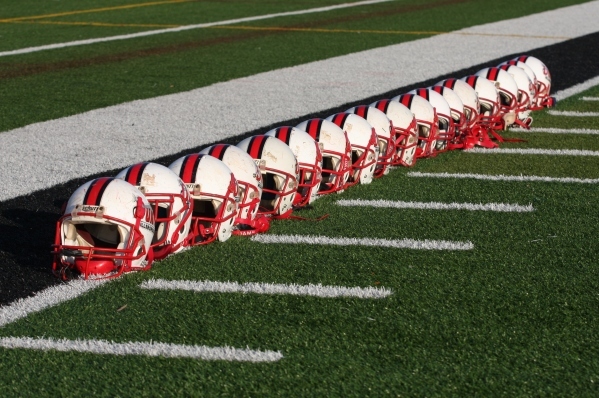 Uniforms and safety equipment are provided for all football and cheer participants. Parents are responsible for providing the following items for their child. All participants must wear proper attire to practice. No sandals, boots, slip-on shoes, jeans, cutoffs, or clothing with buttons, zippers or snaps. Cheerleaders must wear their hair up off their shoulders using only soft hair accessories. No metal or plastic hair accessories allowed. Absolutely no jewelry is permitted; please keep this in mind if considering getting ears pierced, as the earrings MUST be removed for practices and games. No nail polish is permitted for practice or games. These rules are put in place at the national level by Pop Warner Little Scholars and apply to ALL Pop Warner programs. The practice schedules will be posted on the website prior to the start of our summer camp with information regarding practice dates and times. Practice schedules are different before the start of school, but once the school years starts, practices will be re-adjusted. Please be aware that there is restricted access to the practice and game fields. Only rostered personnel and certified volunteers are permitted inside the practice areas and inside the game field areas, and they must be wearing their Pop Warner ID badge at all times. If you see any adult without an ID badge in those areas, please point them out to Dukes staff. Games are played on Sundays, unless rescheduled due to weather. The League usually gives us the schedule a couple days before the first game, although the first game has traditionally been Labor Day weekend. Please plan accordingly. Before the first regular-season game, we hold a "Dukes Spirit Bonfire". This allows us to recognize our teams, our squads, national scholastic achievements that were awarded prior to the season, and to get the teams "fired-up” for a winning season! Teams in the Junior Pee Wee division and older are eligible to compete in post-season competition based on their win/loss record. Post-season competition may include regional and national championships and/or invitational bowls, which can run through Thanksgiving or into December, if a team goes on to nationals. Cheerleaders are required to accompany their teams to these events. Cheerleaders in Flag and Mitey Mite divisions will participate in a "showcase” exhibition at the Mountain Valley Conference Cheer Competition, usually held in Mid-October. This gives them competition-style experience without the pressure of being judged. Admission is charged for this event, and is usually about $12 per person. Children wearing their Pop Warner uniforms are admitted free of charge. Cheerleaders in Junior Pee Wee division and older will participate as competitors in this same competition. Squads that advance will participate in regional competition, which is typically held in mid-November. Squads that meet placement requirements at regionals will advance to national competition, which is held the first week of December in Orlando, Florida at Walt Disney World. See the section titled "A Word About Fundraising" above for more information about the division of financial responsibility for post-season travel. We are always looking for sponsors. If you know of a business or individual willing to make a contribution, we’re interested! We offer several different levels of sponsorship to choose from. The Dukes are a 501(c)3 non-profit corporation, and contributions are tax-deductible (consult your tax professional). For reference, your registration fees are not considered contributions, but are payment for services. Forms for signing up sponsors are available from Board members and on our website in the Forms Download section. The Hillsborough Dukes occasionally utilizes press releases, newspaper photos, website articles, and website photos to highlight and recognize our participants, teams and squads. No personal information such as home address or phone numbers will be provided to any outside entity by the Dukes without your permission. Children's name are not used in conjunction with any photo's printed or posted. If you do not wish us to use your child's image and/or name in this fashion, you must notify us in writing. Such notice may be turned in to the Head Commissioners, the Level Commissioners, or the webmaster. In order to keep things running smoothly, there is a Chain of Command in place within our organization. Speak to your Head Coach about it. If you are the Head Coach, see the Commissioner and follow the Chain of Command from that point. If your Head Coach cannot resolve the issue or answer the question, you may request that the Head Coach set up a meeting with the Football or Cheer Commissioner. If after meeting with the Commissioner, the issue has not been resolved, you may request a meeting with the Commissioner for all people involved. If there has been no resolution, the Commissioner will take the issue to the Board of Directors. If the Board of Directors agrees, the Commissioner will take the issue to the proper authorities at the League level. Any violation of the Chain of Command will carry a one (1) game suspension for the first offense, and a one (1) year suspension for any following offense. There will be no exceptions to this policy. This policy is included in the parental consent/waiver form, but is restated here for emphasis: at any Pop Warner event, practice or competition, any adult who verbally abuses, attempts to intimidate, is flagrantly rude, or cannot control their language or actions with an official, coach, or Pop Warner volunteer, will be asked to leave the Pop Warner event and may be suspended from all Pop Warner events, including practices, for a period to be determined by the Commissioner.